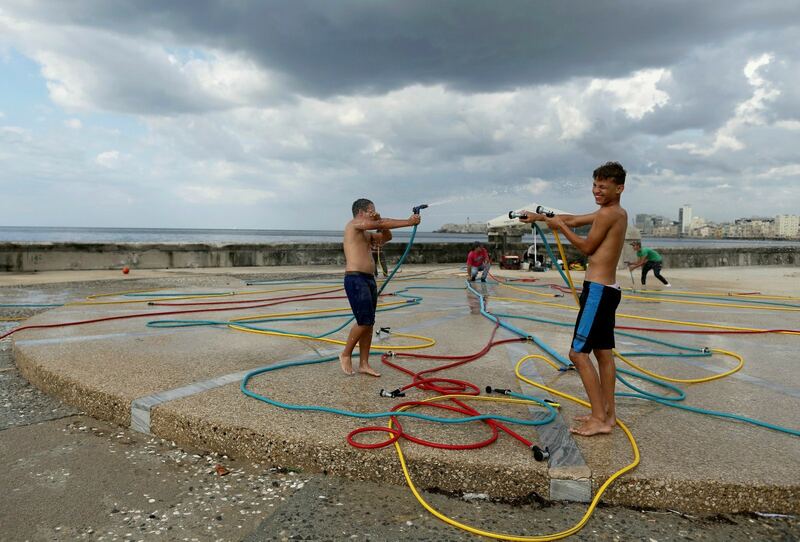 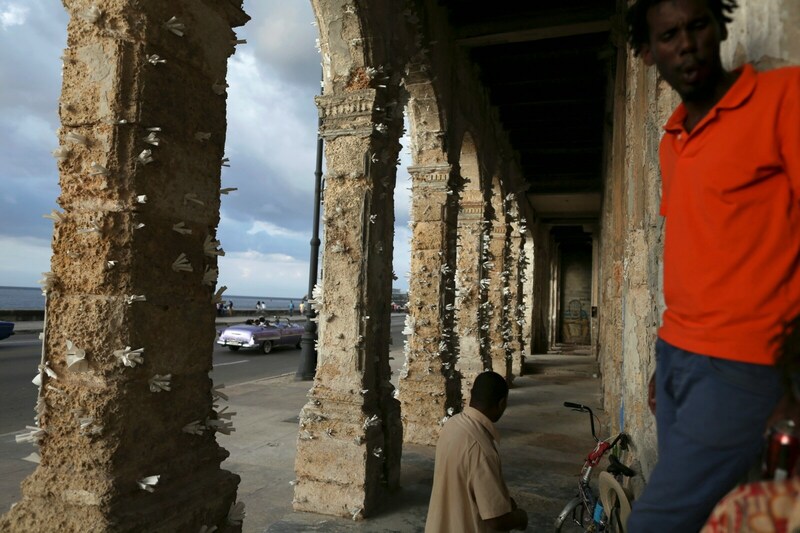 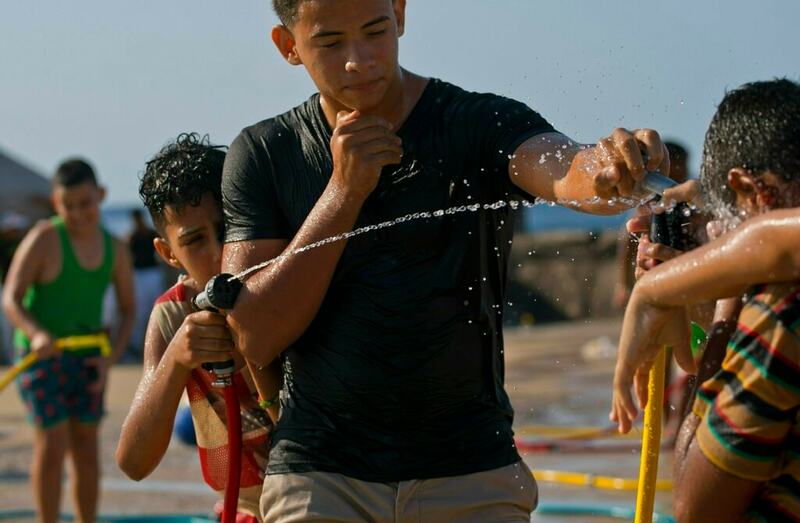 Cones of white paper sprout from the sea salt-eroded pillars of one colonial building along Havana's seafront, elaborately painted curtains cascade from another while out front children play with installation of multicoloured hoses. 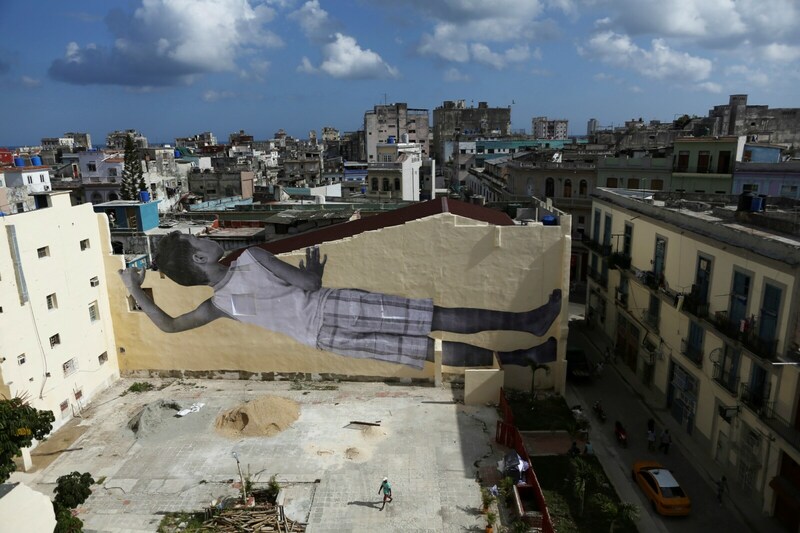 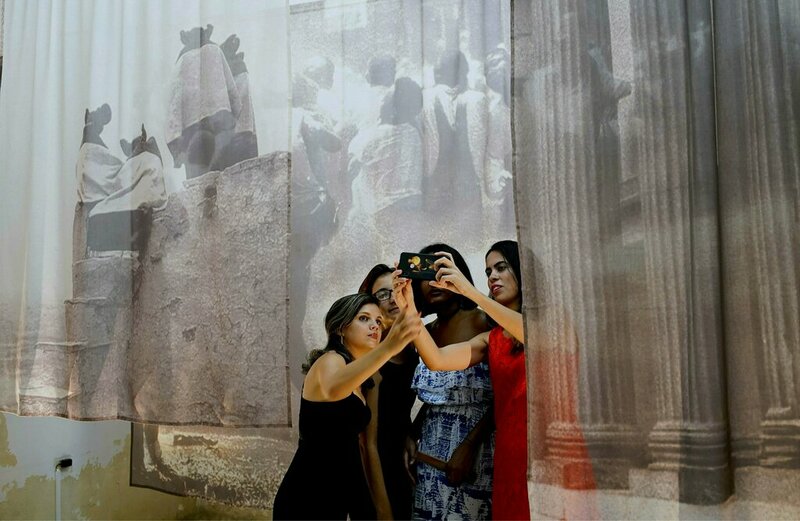 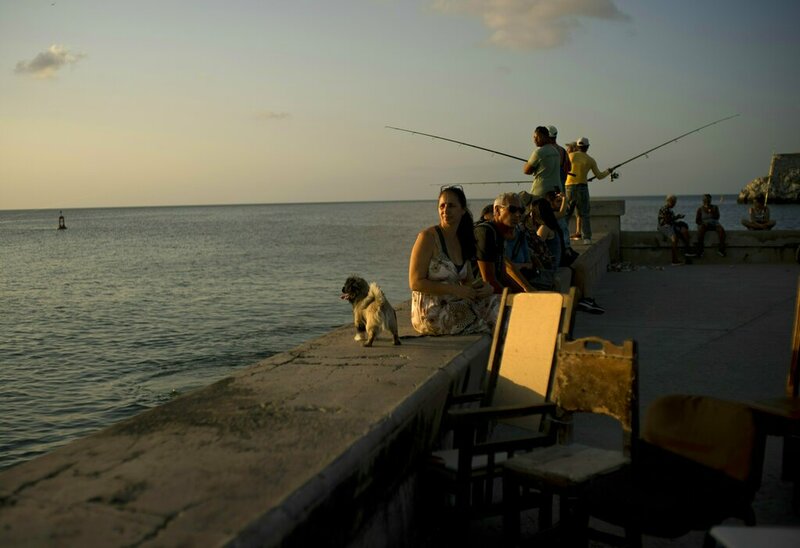 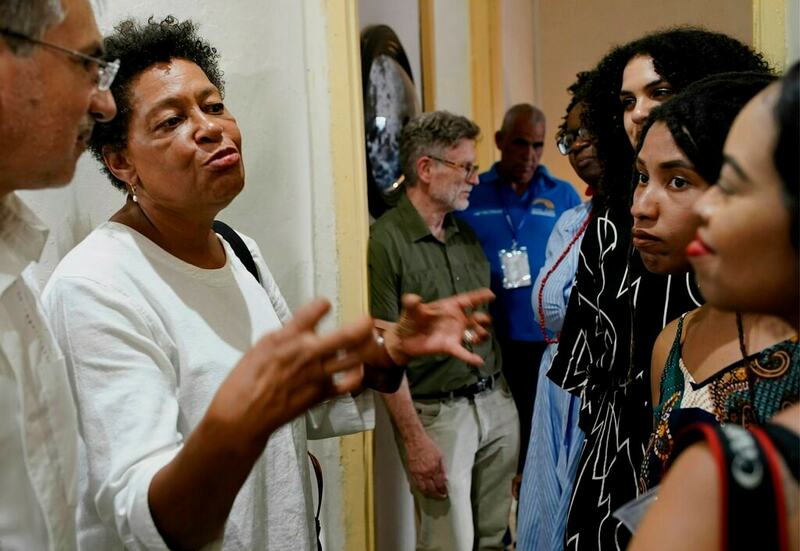 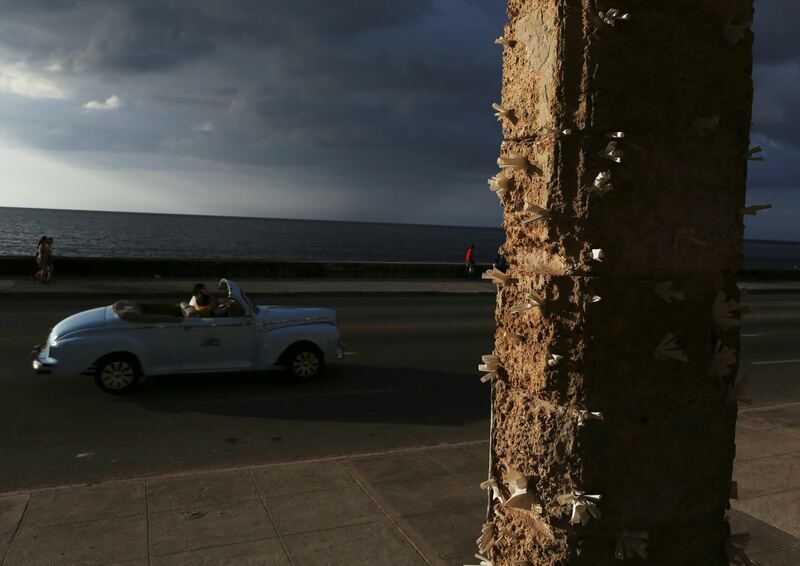 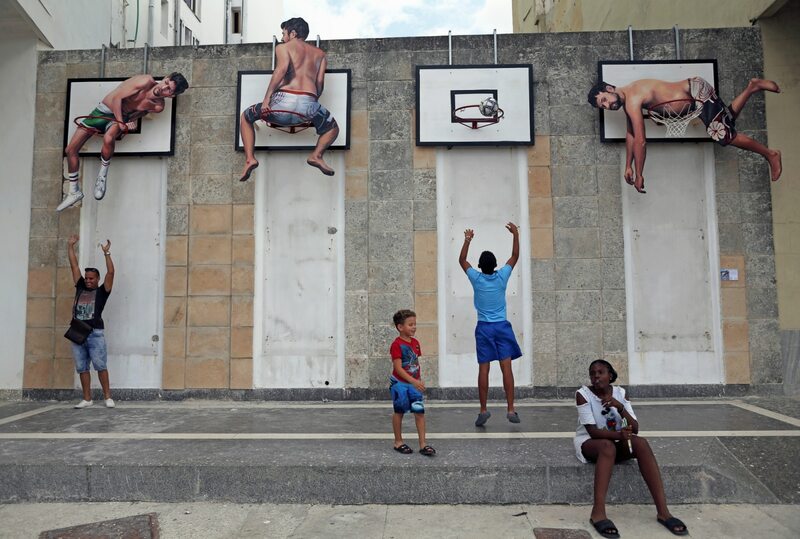 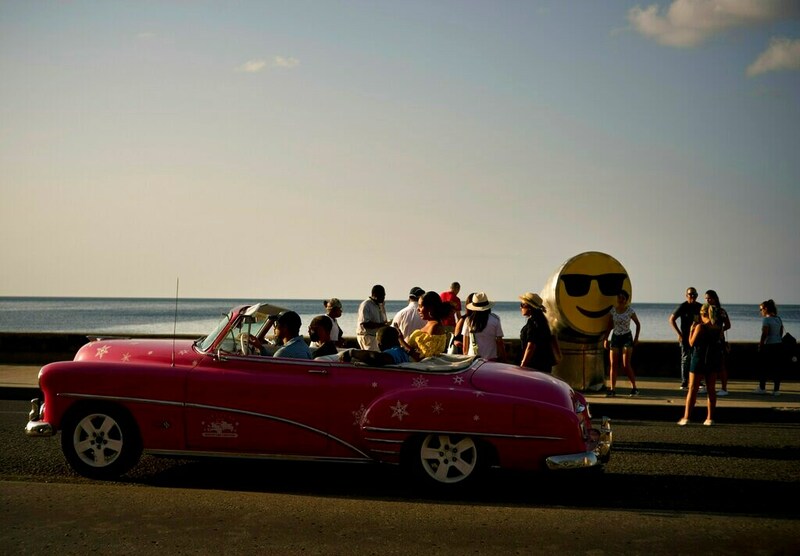 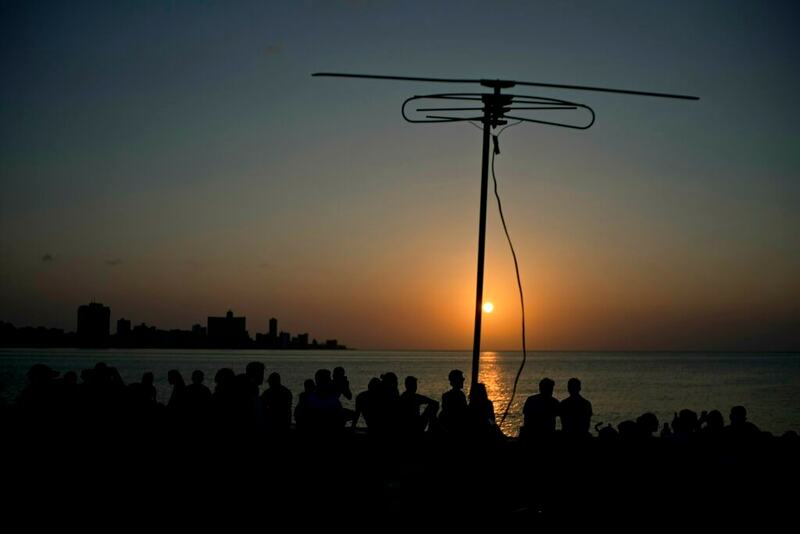 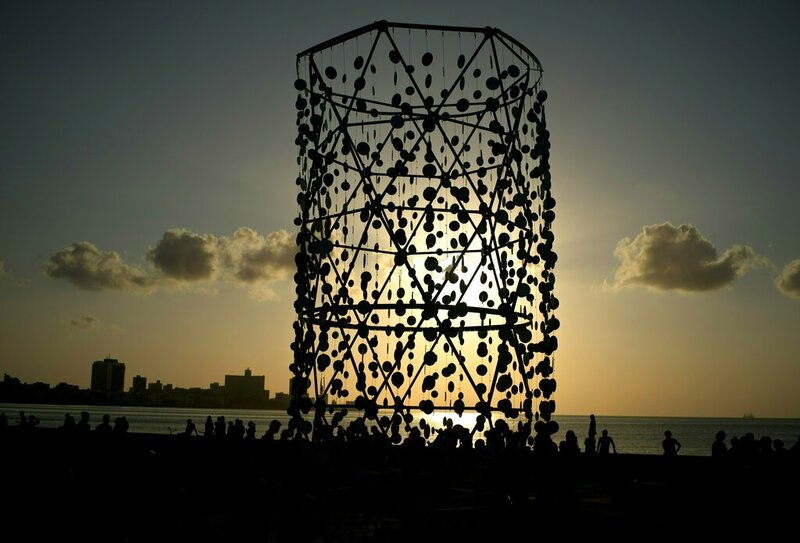 The transformation of the Malecon seafront boulevard into an open-air, interactive gallery, has become one of the most popular venues of Cuba's most important art event. 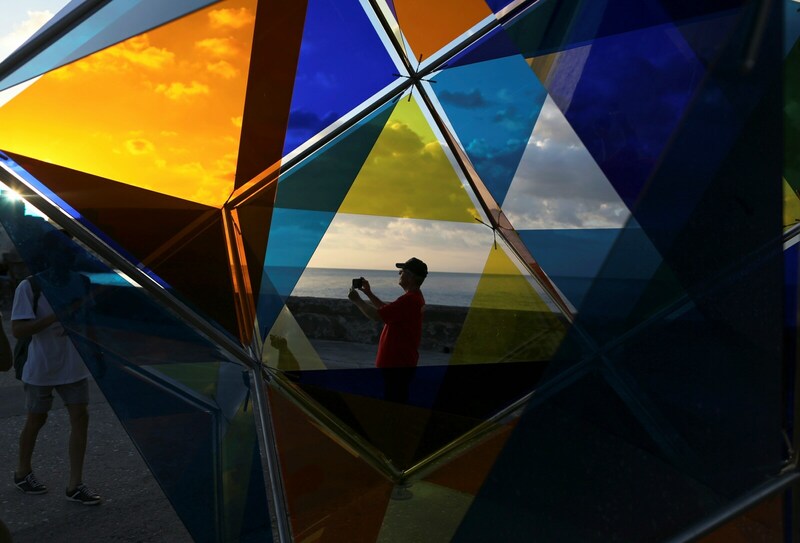 Along the sidewalk, this year are smooth boulders encased in volcanic slabs by Mexican artist Jose Davila, while a swirling light installation by Peruvian artist Grimanesa Amoros protrudes from a building.